The DKN Olympic Chrome dumbbell bars with collars are suitable for use with 2" (5cm) Olympic weight plates and are strong and durable thanks to their solid steel construction and chrome finish. 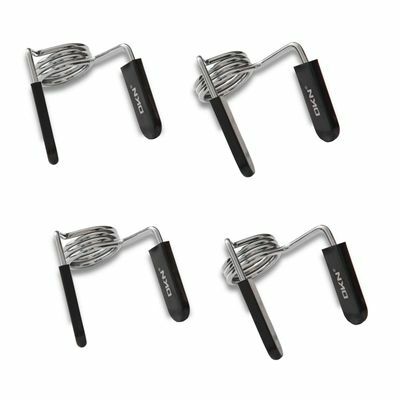 The handles are knurled for a more secure grip when working out and the included spring collars ensure support and that plates are safety fixed in place. 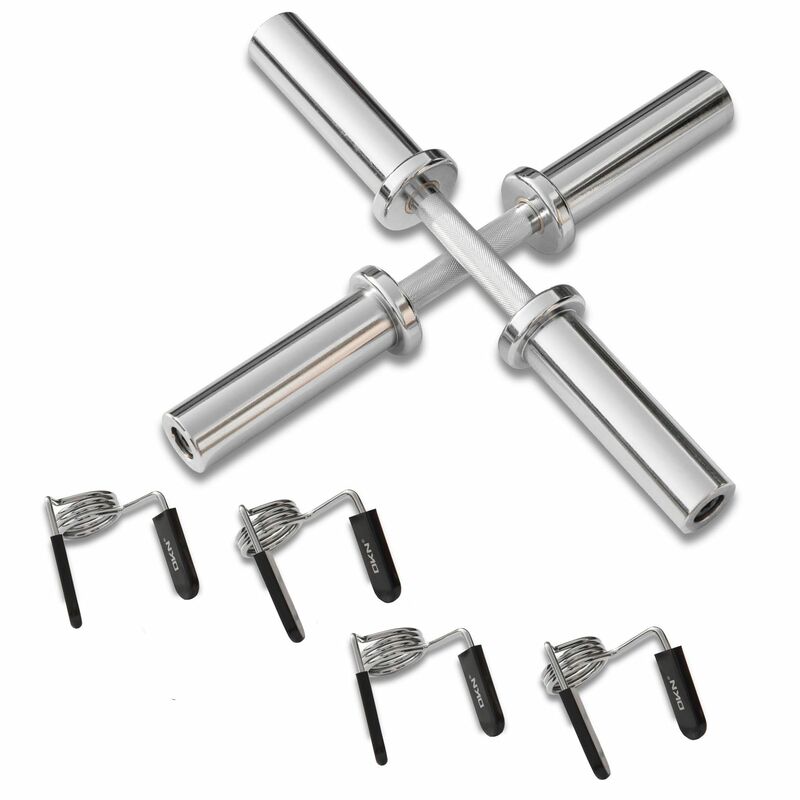 The dumbell bars are supplied as a pair and weigh 7.5kg (16.5lbs) each. for submitting product information about DKN Olympic Chrome Dumbbell Bars with Collars We aim to answer all questions within 2-3 days. for submitting product information about DKN Olympic Chrome Dumbbell Bars with Collars. We aim to answer all questions within 2-3 days. If you provided your name and email address, we will email you as soon as the answer is published. for submitting product review about DKN Olympic Chrome Dumbbell Bars with Collars.